Seamus Daly has been released from prison after his prosecution for the Omagh bomb attack collapsed before it reached trial. The case against Mr Daly, who was charged with murdering 29 people in the 1998 Real IRA outrage, was dropped in court on Tuesday morning. Mr Daly, 45, had been on remand in prison since being charged with the atrocity and a range of other terror offences in April 2014. Irish prosecutors have dropped the case against Seamus Daly, the last remaining suspect in the 1998 Omagh bombing in which 29 people were killed. Now it looks as though no one will pay for the crime. 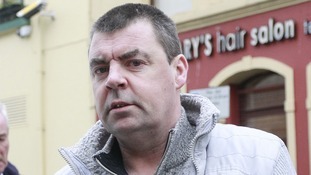 Seamus Daly, the man whose prosecution for the 1998 Omagh bomb collapsed today, has been released from Maghaberry high-security prison in Northern Ireland. A timeline of events leading up to and after the explosion in Omagh on August 15, 1998, which left 29 people dead. The father of one of the Omagh bombing victims has said he agrees with the decision to drop charges against Seamus Daly. Michael Gallagher's son, Aiden, was one of 29 people killed in the 1998 blast. He said: "This was a difficult case and hinged on the testimony of one individual and that one individual did not seem to be up to meeting the test needed to put someone behind bars. "For that reason I agree with the decision, regrettably, that happened today. "There was no other option for the Public Prosecution Service or the judge but to deliver the verdict that we have just heard." Prosecutors said the decision to drop charges against Seamus Daly was "not taken lightly" but there was not a "reasonable prospect of conviction", in part due to unreliable evidence. The Northern Ireland Public Prosecution Service (PPS) said they knew the decision would be "difficult" for the families and extended sympathies to them. "We hope they are assured that this decision was not taken lightly but is required in accordance with our duty as prosecutors to keep a decision under review and to discontinue criminal proceedings when the Test for Prosecution is no longer met," a PPS spokesman said. The PPS said a careful review of the evidence had taken place before the decision was made. "This has focused in particular on the testimony provided by a key witness during committal proceedings last week," the spokesman said. “Under cross-examination a number of issues became apparent which impacted upon the reliability of the evidence that the witness was providing." Charges have been dropped against a man accused of murdering 29 people in the 1998 Real IRA Omagh bomb. Seamus Daly, 45, had been on remand in prison since being charged over the atrocity and a range of other terror offences in April 2014. No-one has ever been convicted of the murders in a criminal court. 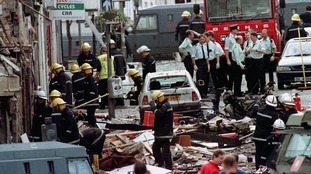 The bombing inflicted the greatest loss of life of any terror atrocity in the history of the Northern Ireland Troubles. A lawyer for the Northern Ireland Public Prosecution Service officially withdrew the charges during a magistrate's hearing at Ballymena Courthouse, Co Antrim, on Tuesday morning. It comes before Daly's case had even reached the floor of the Crown Court. The father of one of the victims of the 1998 Omagh bomb attack has hit out amid reports of an imminent collapse of the prosecution of a man accused of the murders. Michael Gallagher, whose son Aiden was among 29 people to be killed in the Real IRA bombing, expressed outrage that families have been kept in the dark. The case against 45-year-old County Armagh bricklayer Seamus Daly - who denies involvement in the bombing - will be mentioned at a court in Ballymena later this morning. Court proceedings are currently subject to reporting restrictions. Mr Gallagher said he was unhappy that information was circulating about the collapse of the case while the families had not been notified. "We have been failed once again by the police service, by the prosecution service, by the government and by the criminal justice system," he said.